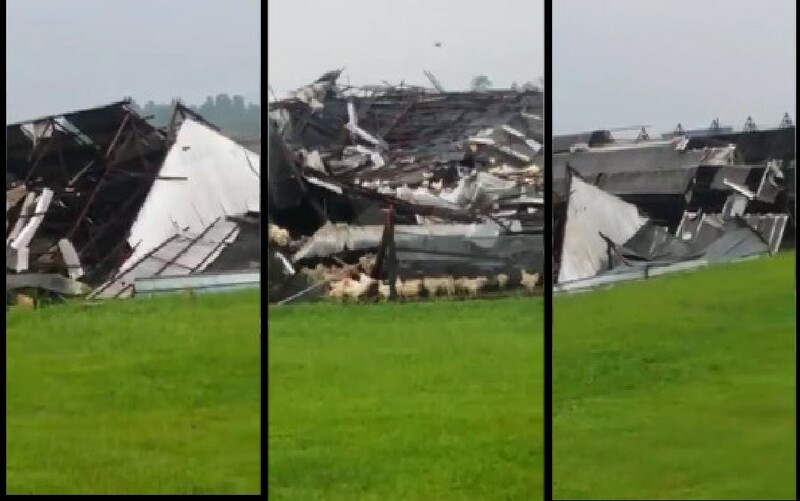 Structures collapse at Chew’s Group farm, 2 farms located in Murai Farmway was severely damaged by a thunderstorm that occurred yesterday afternoon. A 38-year-old worker was taken to the hospital after sustaining light injuries. Chickens were seen trapped in the farmhouses and unable to escape. The farm workers in the area did not expect the wind to pick up as it started as a light drizzle. Affected areas are about the size of three football fields.